and I wish her lots of blessings and kisses. You shine, I love you very much. God bless you each day of your life. Happy Birthday for a Girl, a Little Princess. Free card, image, christian quotes for my daughter, niece, granddaughter, sister, baby. 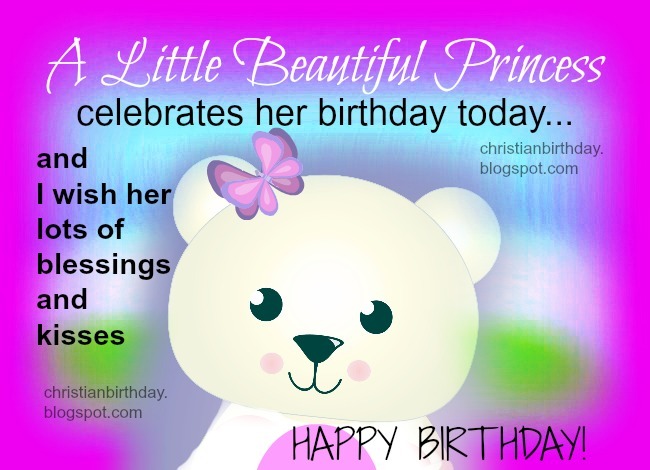 Free images for birthday little girl. Free bday card.